When you change from iPhone to HUAWEI, if yu have WhatsApp in your iPhone, you must want to transfer WhatsApp messages to HUAWEI, you can transfer WhatsApp messages from samsung to HUAWEI directly, you can also restore WhatsApp messages to HUAWEI via backup. Many iPhone fans is considering turning to HUAWEI phone, HUAWEI has already won a lot of fans in the mobile phone market. But iPhone users are still considering. I think one of the reasons is that they are worry about data transmission between two different systems, especially the data in various APP. It is not simple to transfer WhatsApp messages from iPhone to an Android phone. When we ask for one tool for help, all is simple at this time, we can move WhatsApp messages from iPhone to HUAWEI in several clicks, no need of professional knowledge, do as what we said blow. This method is more simple, only 5 steps, we can copy WhatsApp messages from iPhone to HUAWEI directly. Step 1: Free download this tool to your PC, no matter Window or Mac, just download according to your PC. It's one big tool where has so many device tool for you, but now, you need click “ Restore Social APP ” in the right corner. 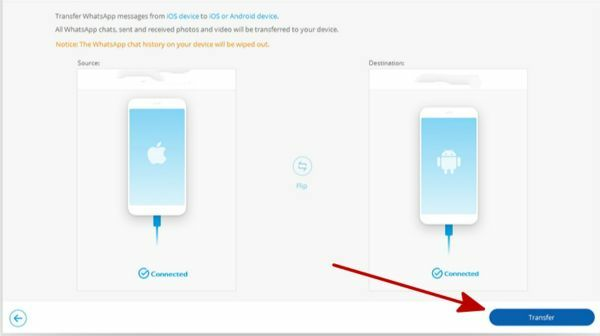 Step 2: From the left side, choose “ WhatsApp ” in the first place, then select “ Transfer WhatsApp Messages ” to transfer WhatsApp messages from iPhone to HUAWEI directly. 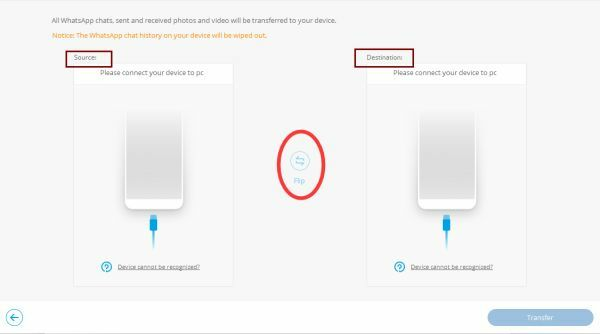 Step 3: Plug your iPhone and HUAWEI to computer, you need take attention, if you want transfer WhatsApp messages from iPhone to HUAWEI, put the iPhone to the left where is the source, and put the HUAWEI in the right side, where is the destination, click on “ Flip ” to change the source and destination place. 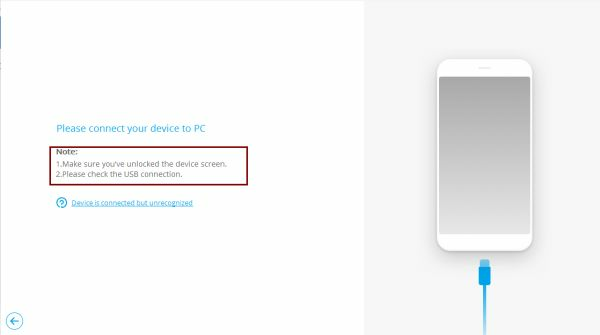 Note : In your HUAWEI, you need Allow USB Debugging to let tool detect your HUAWEI. Step 4: Click on “ Transfer ” to start transfer WhatsApp messages from iPhone to HUAWEI. 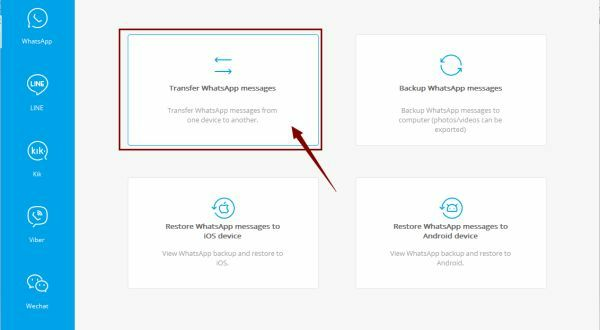 Step 5: Once the transmission complete, you need restore to WhatsApp, so that you can use the WhatsApp as usual when you have installed the newest version of WhatsApp in your HUAWEI. 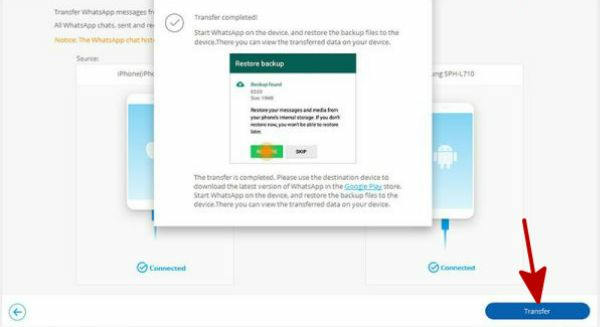 When you want backup WhatsApp messages to computer firstly, you can use this method, no data loss even if you have deleted WhatsApp messages in HUAWEI, and the operation is also very simple, backup firstly and then restore from backup. 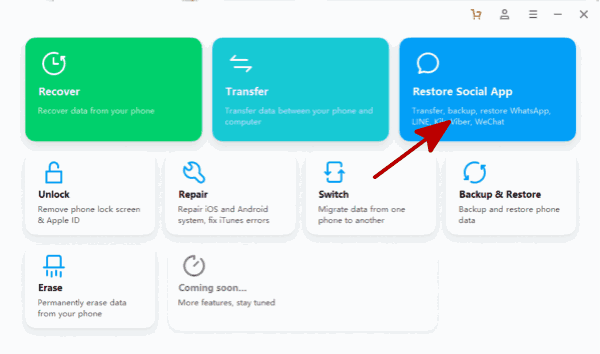 Step 1: No doubt, you need free download Eelphone Restore Social APP to your computer in advance. Launch it, you can see “ Restore Social APP ” in the right corner. Double click it. Step 2: Firstly, we need backup WhatsApp messages in iPhone to computer, so click on “ Backup WhatsApp Messages ” in the right upper. Step 3: Connect your iPhone to the computer via USB original cable. Unlock your iPhone at the same time. Step 4: Click on “ Backup ” to start backup iPhone WhatsApp messages to the computer. And you can view backup files by clicking on “ View ”. Then disconnect the iPhone. 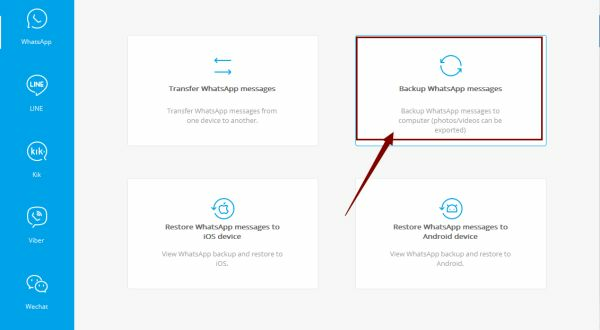 Step 5: Back to the page of Eelphone Restore Social APP, because you have backed up WhatsApp messages in iPhone, now you need restore WhatsApp messages to HUAWEI via backup. 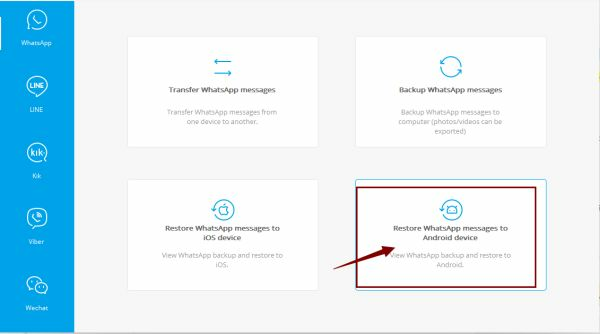 So click on “ Restore WhatsApp Messages to Android device ” to move WhatsApp messages from iPhone to HUAWEI via backup. 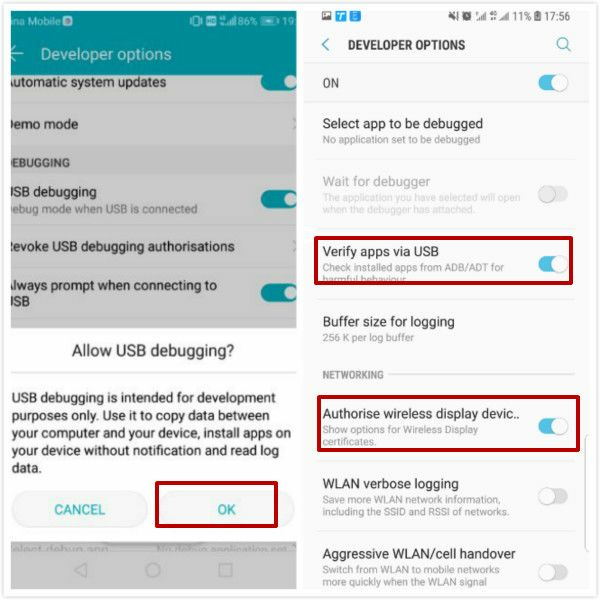 Note: You need also Allow USB Debugging in your HUAWEI. 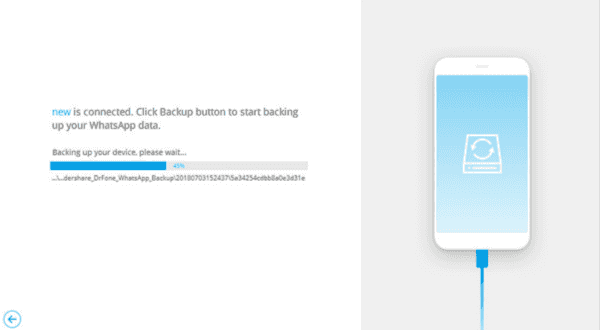 Step 6: Choose the backup file you have just backed up. Then click “ Next ”. 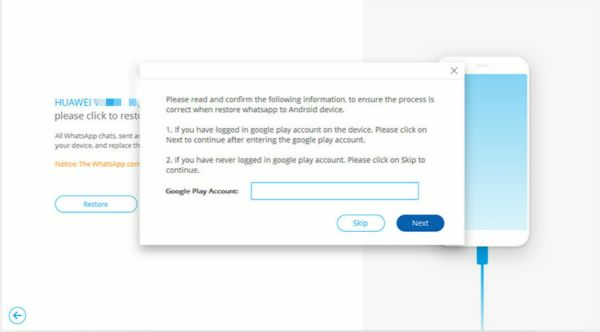 Step 7: Click on “ Restore ” to start restore WhatsApp messages from iPhone to HUAWEI via backup, and if you want sign in Google Play Account, you can sign, or you can “ Skip ”. Wait a moment to transfer WhatsApp messages from iPhone to HUAWEI. 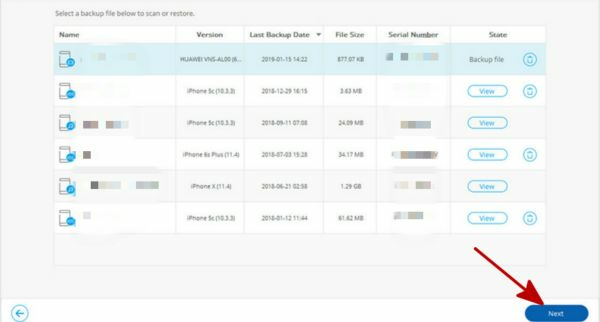 Via this method, you transferred WhatsApp messages from iPhone to HUAWEI, and you also have backed up your WhatsApp messages to computer.